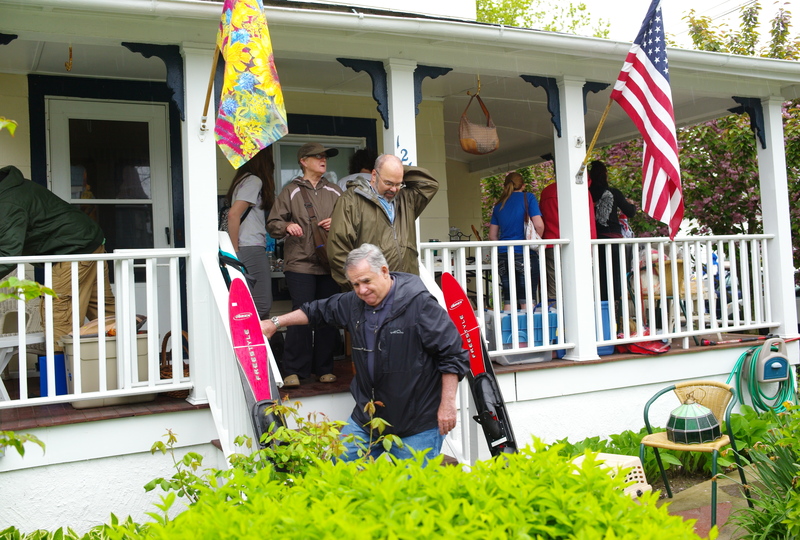 The 8th Annual Ocean Grove Town-Wide Yard Sale will be held on Saturday, May 11, 2019, 9 am to 4 pm. That’s the Mothers Day weekend. Bring Mom–she will love it. Click on flyer below to see the photographs. Fliers will begin to appear in Main Avenue windows and elsewhere in April. Sellers: There will be promotions, fliers, and ads. Blogfinger will advertise the event, and we get thousands of visits to Blogfinger.net each week, and there should be good word-of-mouth. If any of you want to help us, please email (Blogfinger@verizon.net) If you know of a place (eg church, club, restaurant, etc—even outside of the Grove, we can supply you with fliers. We can use someone to plug us into social media by posting the flier. I can email the jpg flier to you. If you want to SIGN UP AS A SELLER, just contact us at Blogfinger@verizon.net from now to Friday, May 10. Right now we just need your address. Let us know what the nearest cross street is. Your list of items for sale can be emailed to us at any time, but the list of items for sale will not be posted until the week before. 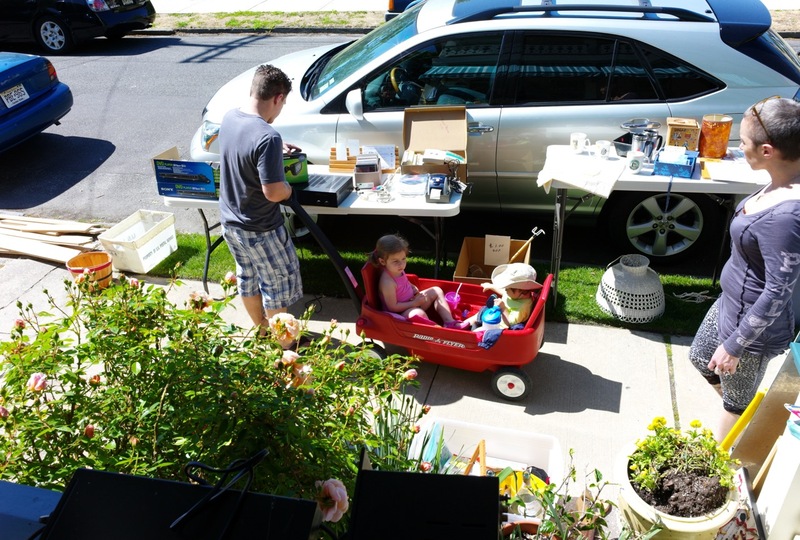 If you have ideas or questions please contact the Town-wide Yard Sale Manager: Vincent Cannavo 732 735 0409. Vincent’s email is vcan416512@AOL.com. Or you can contact Paul Goldfinger, Editor at Blogfinger@verizon.net. You will need a $5.00 yard sale permit obtained from Town Hall in Neptune. Tell them you are with the Town-Wide sale in the Grove. SHOPPERS from the Grove as well as visitors have enjoyed the social ambience of our town-wide sale, and each year the number of participants has grown. The more sellers, the more appealing the sale will be to buyers. So, mark your calendars and plan to have a fun Saturday May 11 in the Grove. There should be plenty of parking , but come early. You can even ride around town, park your car, walk around a neighborhood, and then continue a drive-by approach. Or you can ride around on bikes, which is a fun way to shop. Ocean Grove is a walking town with a porch culture, so be prepared to chat while you shop. 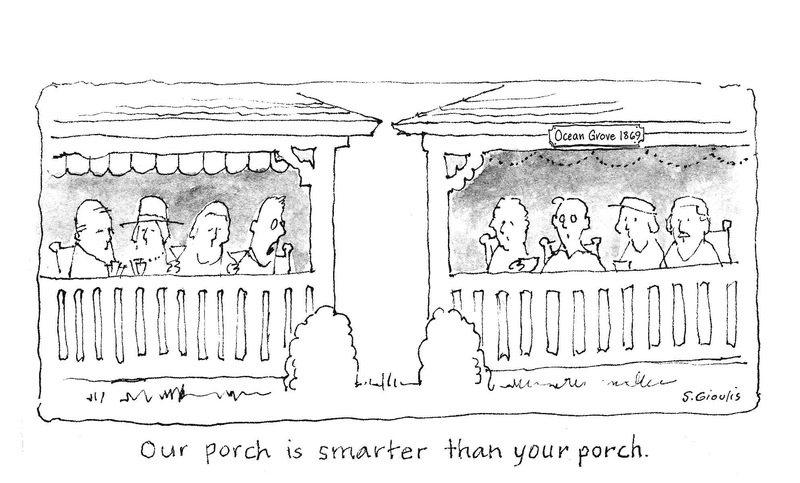 Visit and discover Ocean Grove’s unique porch culture. Say hello to the friendly Grover residents who live in our historic town. Check out the Victorian architecture (we are on the National and State Historic Registers.) Main Avenue has some fine shops and eateries, and don’t forget to step onto our new boardwalk and walk in the sand on our beautiful beach and say hello to the magnificent Atlantic. YARD SALE MUSIC. Devoted to getting you in the mood.